Material: Made from Eco-Friendly resin. Sturdy and duarable. 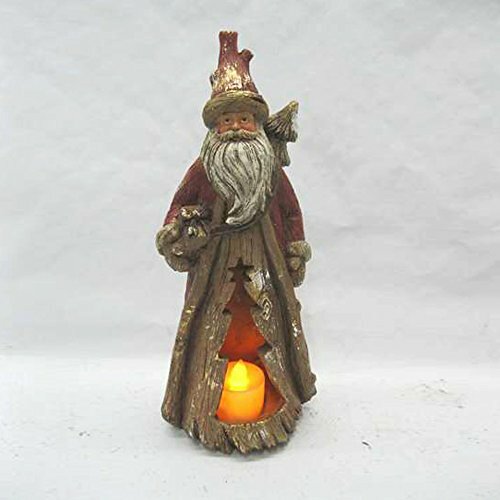 Package Included:1*Santa Candle Holder Ornament. Comes in well-packed box. Great centerpiece for holiday decoration. And a good candle holder for daily use. Still a perfect idea for holiday gifts. Purchase Guarantee by Amazon: Every package is well checked before sending out. For any questions, we guarantee 30 days free return and no issues refund. Buy with confidence, just add to cart now!!! If you have any questions about this product by LemonGo, contact us by completing and submitting the form below. If you are looking for a specif part number, please include it with your message.